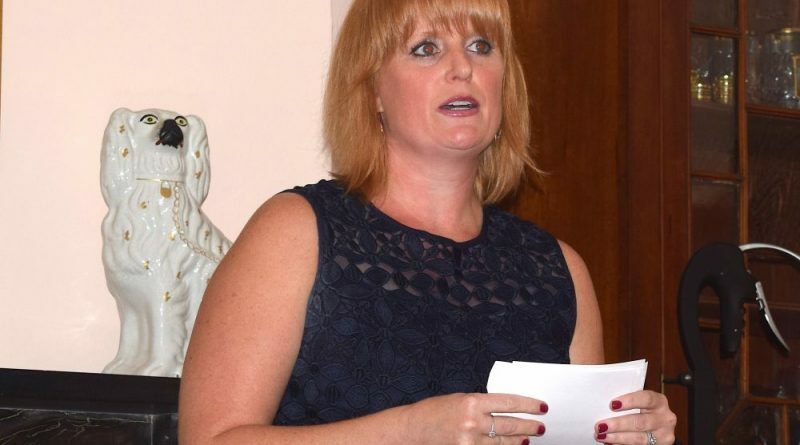 Friends, family, and former schoolmates were all part of the crowd that came out to support Leesburg native Kari Nacy in her Town Council campaign kickoff Saturday. 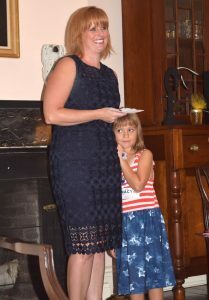 Nacy’s supporters packed the historic Glenfiddich House in downtown Leesburg as the first-time candidate delivered her stump speech. She said the campaign and her willingness to serve on the council was part of her lifelong desire to give back to her community. It was Councilman Josh Thiel’s victory in February’s special election that made her think Leesburg was ready for some new, and younger, blood, she said. The potential sale of Westpark Golf Club, literally right in the backyard of the County Club resident, underscored her desire to have a say in the smart growth and development of her hometown “to preserve its soul,” Nacy said. Maintaining good relationships with the Board of Supervisors and the School Board to ensure good schools and infrastructure was essential, she said. Among her supporters Saturday was U.S. Rep. Barbara Comstock (R-VA-10), in the midst of her own campaign for re-election to Congress in November. She praised Nacy for running for a seat in her hometown council.